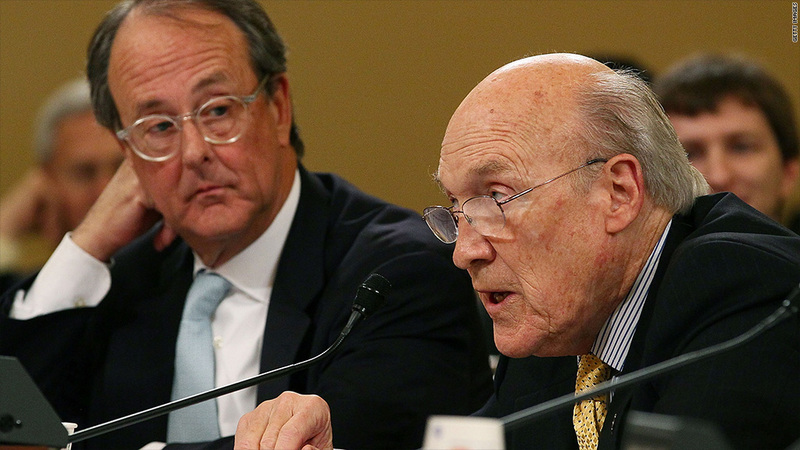 Erskine Bowles and Alan Simpson chaired President Obama's fiscal commission in 2010. Erskine Bowles and Alan Simpson proposed a new framework Tuesday to cut the country's debt by $2.4 trillion over the next decade. Bowles and Simpson were the co-chairmen of President Obama's bipartisan fiscal commission in 2010, and their recommendations came to serve as a yardstick for other debt-reduction proposals. 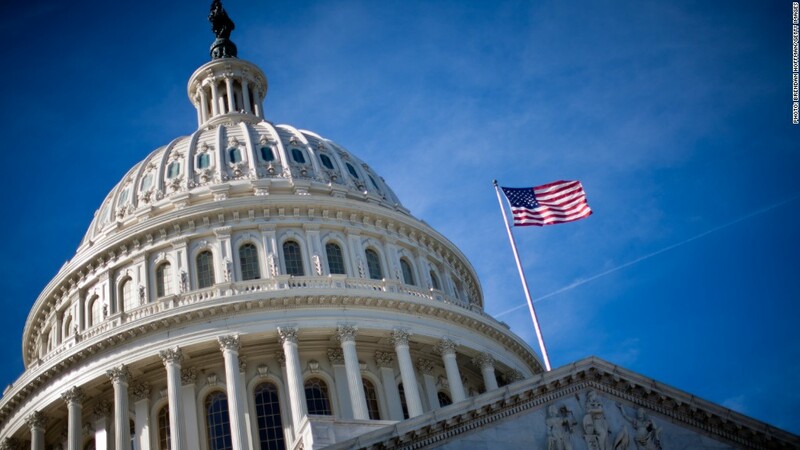 Since the fiscal commission disbanded, Congress and the White House have enacted about $2.7 trillion worth of savings that will occur over the next decade. The $2.4 trillion in deficit cuts in the new Bowles-Simpson proposal would be made between 2014 and 2023 and come on top of the $2.7 trillion already passed. Another $2.4 trillion is needed to stabilize the debt and put it on a path to fall below 70% of GDP, according to estimates by the bipartisan Committee for a Responsible Federal Budget. The amount of debt reduction recommended by Bowles and Simpson is a more ambitious goal than President Obama has set. Obama is aiming for another $1.5 trillion in savings, which would stabilize the debt at 73% of GDP by the end of the decade. And it's a less stringent, more gradual approach than the stated House Republican goal of erasing all annual deficits by 2023. In any case, they characterize their new recommendation not as the "best" or the "right" framework. They said they see it simply as the "minimum that policymakers must do." Taxes: Enacting tax reform that eliminates or minimizes tax expenditures. The revenue raised would be used to reduce deficits and to pay for the cost of lowering tax rates and simplifying the tax code. The new framework calls for tax reform to raise about one-quarter of the $2.4 trillion -- or $600 billion. Medicare: Reducing Medicare and Medicaid spending by cutting payments to health care providers, changing incentives for providers and beneficiaries, and increasing premiums for high earners, among other changes. Bowles and Simpson say Medicare changes should account for another $600 billion. Inflation-adjusted payments: Adopting a less generous and some say more accurate inflation formula, known as "chained CPI," for any federal payments that are adjusted for cost of living, such as Social Security benefits. Chained CPI would also apply to inflation adjustments for income tax brackets. Other measures: Curb farm subsidies and increase how much civilian and military personnel contribute to their health and retirement plans. The framework calls for half of the $2.4 trillion to be raised through these savings, combined with stricter limits on discretionary spending, along with chained CPI and interest savings. In addition, the new Bowles-Simpson framework calls for lawmakers to go beyond that $2.4 trillion for the long-term. Among other things, they recommend Congress agree to Social Security reforms this year and earmark future savings for the program. The Bowles-Simpson recommendations are bound to draw vehement opposition. Many Democrats oppose changes to entitlement programs unless they only affect the wealthy. And many Republicans refuse to consider raising any new revenue for deficit reduction through tax reform. Bowles and Simpson plan to release more detailed recommendations at some point in coming weeks to flesh out their framework after consulting with members of Congress. Since their work on the fiscal commission, they have been trying to coax lawmakers to negotiate a "grand bargain." Most recently Bowles and Simpson co-founded the Campaign to Fix the Debt, a nonpartisan group advocating for debt-reduction. The campaign has a bipartisan steering committee made up of former politicians, deficit hawks and business people, and a CEO council that has drawn fire mostly from the left, but also from some business groups for its call for more revenue.